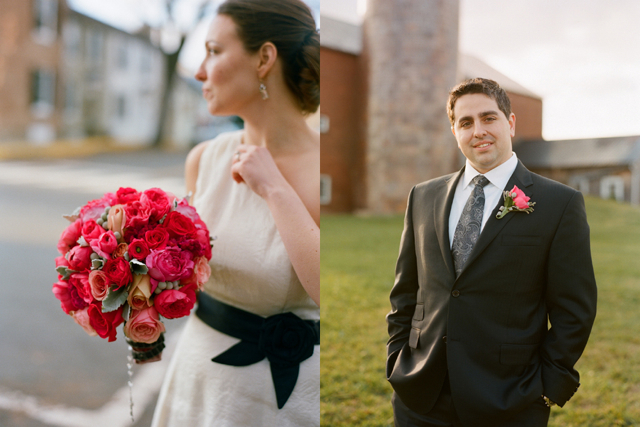 On Thanksgiving weekend, my bride Lara married in the town of Leesburg. 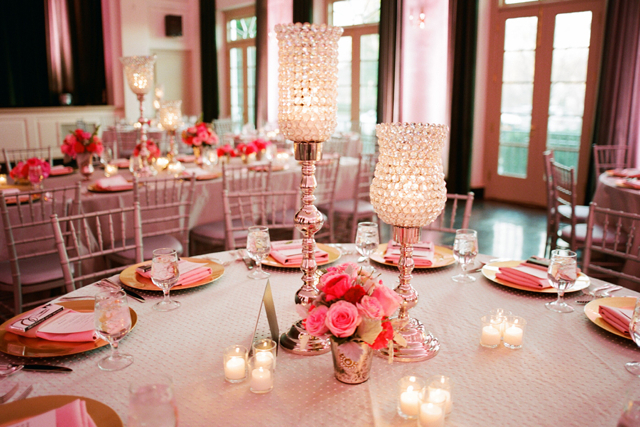 The wedding reception took place at the Middleburg Community Center. 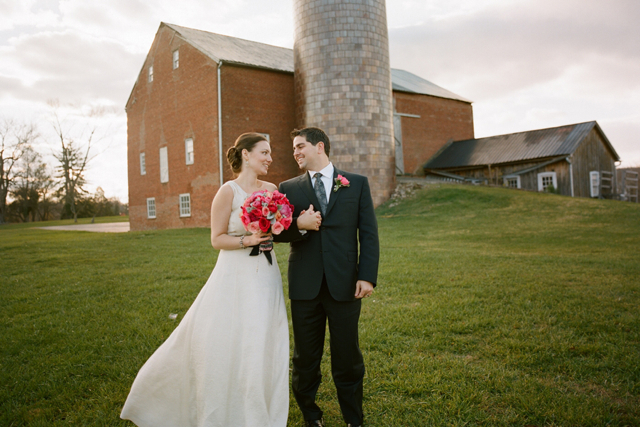 This was an awesome Loudoun wedding. I am head over heels for this event, the photography, the gowns, the flowers, the couple, all perfect. 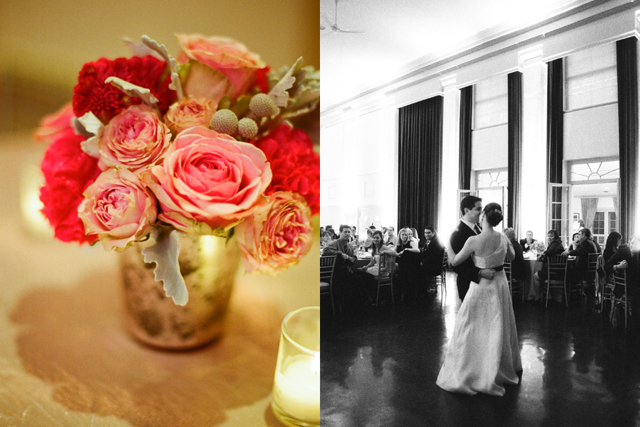 Many thanks, to photographer Kate Headley for sharing her gorgeous work with us. She captured this wedding incredibly. Thanks also to planner Jamie Sears of Simply Chic Events, and Lisa Schulz, The Posh Planner for teaming up on such a beauty. Lara's amazing bouquet was created with pink mocha roses, Yves Piaget pink cabbage roses from california, pink peony, hot pink cabbage roses, spray roses, pink ranunculus, silver brunia and silver dusty miller. The bouquet was bound with grey velvet trim from Britex Fabrics in SFO. 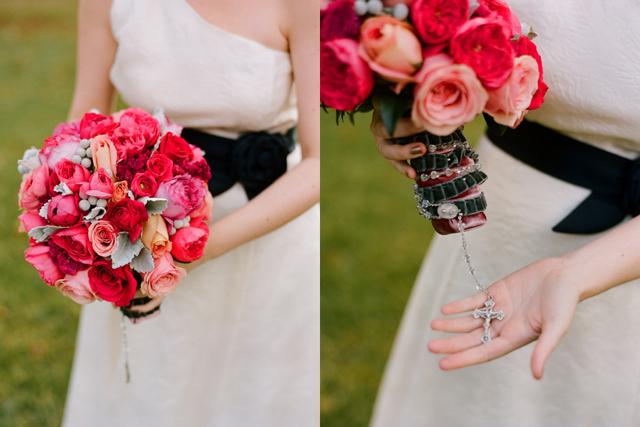 The family rosary was added to the bouquet. Notice how the guys have coats, but all of the pretty girls are freezing in sleeveless dresses. Why do we do this to ourselves? Mercury glass vases were filled with all the flowers of the day. 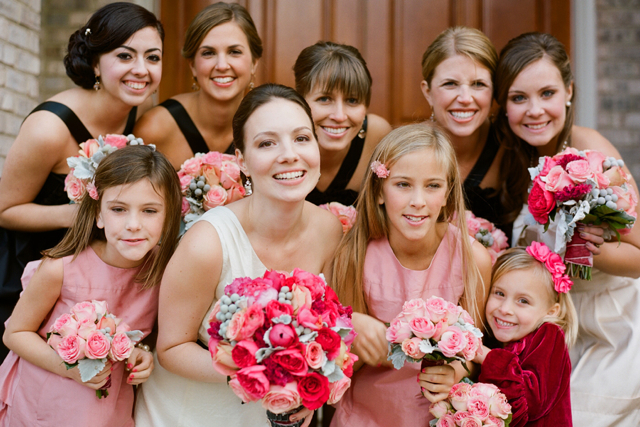 Don't let those Yves Piaget roses fool you, they look just like peonies in this picture. These crystal candle holders are new inventory that we actually acquired from Lara. We are excited to be offering this romantic centerpiece option this year. For an extra treat enjoy Kate Headley's 8mm film of Lara and Steve's wedding day.